This is a fantastic opportunity to put the finishing touches on your dream home in Hillsborough. 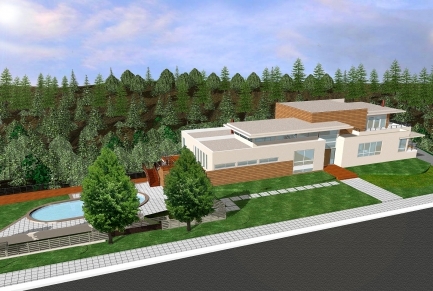 When complete, this 3 level, 6,700 square foot home will offer 5 bedrooms & 6.5 baths, including a Bay view master suite, family room, home theatre, 3 car garage, & elevator to all floors. The outdoor space includes a patio area with pool & spa, and spacious decks offer outlooks of the beautiful wooded canyon.